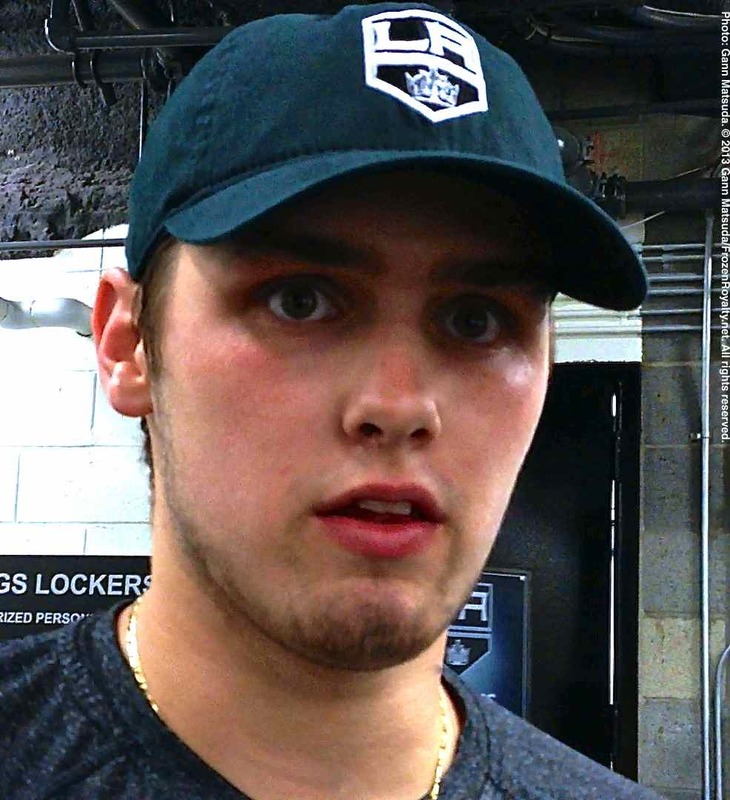 DEVELOPMENT CAMP COVERAGE: Frozen Royalty brings you video interviews with prospects Patrik Bartosak, Zachary Leslie, and Derek Forbort from Media Day at the Los Angeles Kings 2013 Development Camp. EL SEGUNDO, CA — July 10 was media day at the Los Angeles Kings 2013 Development Camp for their young prospects, who’ve been in camp since July 8. Camp closes on July 12. Frozen Royalty interviewed a mix of prospects, from this summer’s draft picks, to those who have participated in the Development Camp several times before. In this post, you can watch interviews with goaltender Patrik Bartosak, defenseman Zachary Leslie (both were selected in the 2013 National Hockey League Draft), along with defenseman Derek Forbort, a 2010 first round draft selection. These videos are available only from FrozenRoyaltyNHL on YouTube.